The efficiency of the human body means that it can take a fair bit of work to exercise fat away. That work needs to be as efficient as possible if we are not to get disheartened by slow results. To get the best level of fat burn from your workout, look for exercises that use as much muscle as possible. That means either working on your bigger muscles, or doing compound exercises that work several muscle groups at once. The simple action of bending down and picking something up is something we all do every day. Turning it into a workout move makes for a surprisingly simple fat burner. There are many reasons why deadlifts are great fat burners, but do make sure that your lifting form is correct. Squat, kick, push-up, jump - the burpee has to be nearly the ultimate compound exercise. 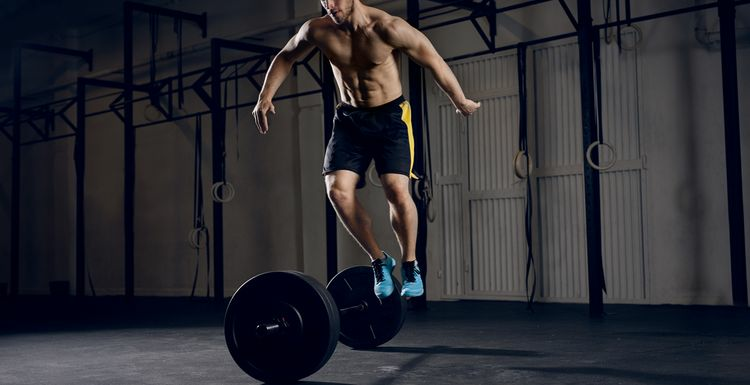 This combination of pushes and explosive movements works all the major muscle groups. The trusty treadmill has a lot going for it, especially on cold dark evenings when running outside is less than appealing. Turn up the wick by doing interval training, alternating fast jogs with walking. Set the machine to a slight slope for extra impact. Finish off with this core and leg blaster. Carry out your normal lunge step forward, keeping head up and front knee above ankle. Instead of stepping back again, bring the back foot forward and lunge down on that leg. Keep going until you run out of room! The results of working out may not show immediately on the scales, but with a regular dose of these moves you will definitely be reducing your body fat levels. That is the real route to health. i would also suggest doing intervals on an exercise bike for great fat burning,. You are using the largest muscles in your body, and also toning your stomach a surprising amount. I love doing burpees and do 60 three times weekly. I don't put on weight easily and put it partly down to that. I do a walking lunge going around our house, which works well as it just goes round and round in a circuit. They are very very tiring but once you set yourself the challenge of a particular distance (4x circuits) you are motivated to complete them!